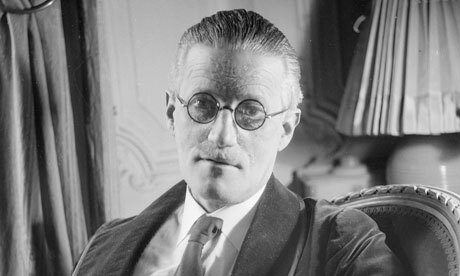 You may never have heard of him, but Arthur Cravan was one of the most influential writers of the 20th century. The fact that he wrote precious little — and certainly nothing of any lasting literary value — should not be held against him. Quite the contrary, in fact. Oscar Wilde’s nephew put all his genius into his life, turning it into a magnum opus full of sound and fury, high farce and convulsive beauty. In so doing, he influenced every single major avant-garde movement from Dada onwards. Cravan was the original Sid Vicious, the blueprint for all the subsequent outrages committed in the name of art. “Let me state once and for all: I do not wish to be civilised,” he wrote — and he meant it, man. Arthur Cravan (or Fabian Lloyd, to call him by his real name) was born in Switzerland in 1887. After being expelled from an English military academy for spanking a teacher, he relocated to bohemian Paris where he partied hard with the likes of Blaise Cendrars and managed to become France’s Heavyweight Champion without throwing a single punch. Cravan first gained the notoriety he so craved through Maintenant (“Now”), the literary journal in which he wrote everything under various noms de plume. Sourced from a butcher’s shop, the very paper it was printed on highlighted his utter contempt for belles-lettres. He filled an entire issue with gratuitous insults aimed at the artists taking part in the 1914 Independents Exhibition. As a result, he was challenged to a duel by the poet Apollinaire and almost lynched by a posse of avant-garde painters. Result. Art, for Cravan, was essentially boxing by another means, as proved by the infamous conferences he gave in Paris and New York. During these happenings, he would knock back absinthe, perform drunken stripteases, shout abuse at the spectators and even fire gunshots over their heads. His final Parisian gig descended into pandemonium when he failed to commit suicide as advertised. The onset of the First World War marked the beginning of a convoluted vanishing act that led him — in various guises — from Paris to Mexico where he disappeared at sea on a drunken boat of his own making. His body was never found. For years to come, he would continue to be spotted throughout the world. Arthur Cravan is still at large. I have a piece on Arthur Cravan in the new issue of Flux magazine (issue 70, subtitled “The Hysterical Issue”). Arthur Cravan: artist, poet & boxer put all his genius into a life full of sound and fury, high farce and convulsive beauty that influenced every major avant-garde movement from Dada onwards.